Our company is specialized of comprehensive experience in developing and providing high-class Electrolytic Capacitor Winder for many industries. We have a team of efficient quality inspectors who make sure our products are manufactured as per the excellent standards. 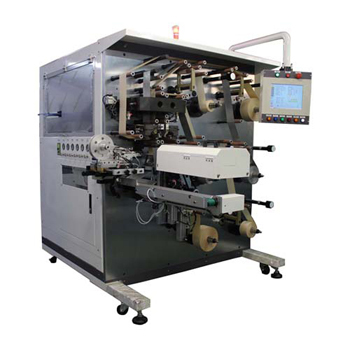 This automatic winding machine is designed for terminal type of large aluminum electrolytic capacitor for industrial apparatus, control circuits, etc. This machine is equipped with automatic tension control system, it can wind higher accurate aluminum electrolytic elements. Tension controlled by. The mechanisms are new developed, which makes stable winding for aluminum electrolytic elements.